University of Maryland (UMD). (2014). Step 1: Build a salad table. 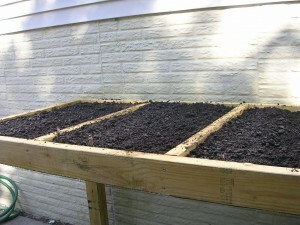 Grow It Eat It: Maryland’s Food Gardening Network. 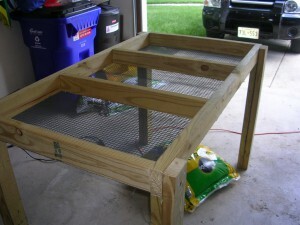 Retrieved from http://extension.umd.edu/growit/food-gardening-101/step-1-build-salad-table%E2%84%A2. Since my parents do not have much acreage for gardening around their lovely suburban home, I decided to research ideas for helping them come up with more space for gardening. 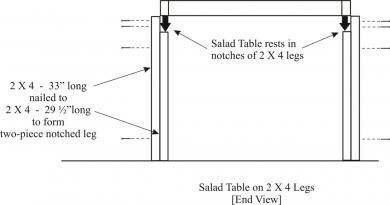 After reviewing some of the ideas provided by Grow It Eat It, provided by the University of Maryland Extension and the College of Agriculture and Natural Resources, I decided to try my hand at a salad (lettuce) table. With the construction of this table, my parents would be able to grow lettuce, radishes, spinach, and similar types of vegetables on a raised surface that could be placed on their patio instead of the lawn. 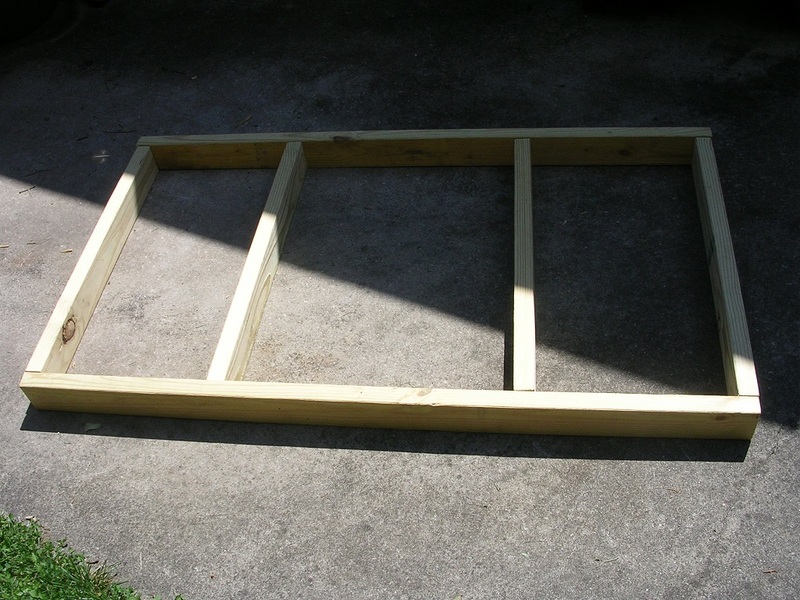 Furthermore, they would now have a decent area to work with for growing crops with a grow bed measuring approximately 58” long x 33” wide. 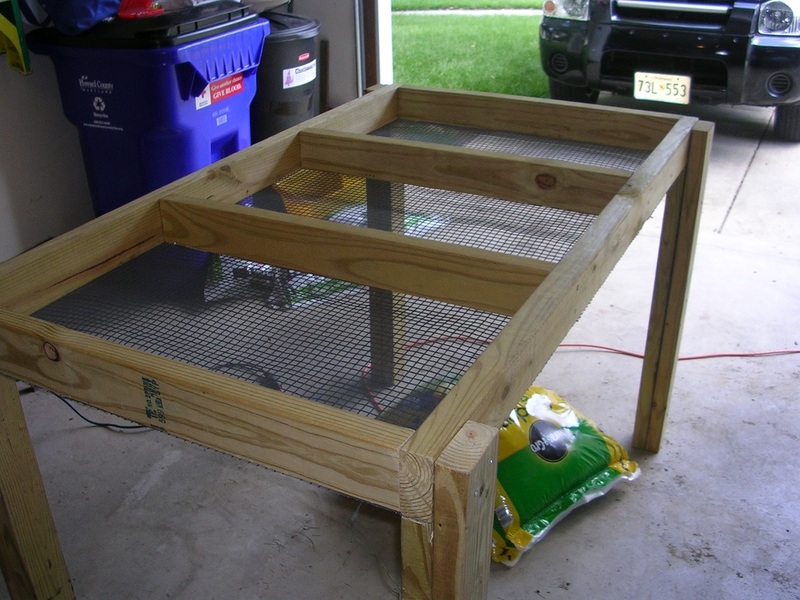 As such, let’s go through the process that I went through (which is heavily based on the instructions provided through Grow It Eat It) to create their salad table (seen below). 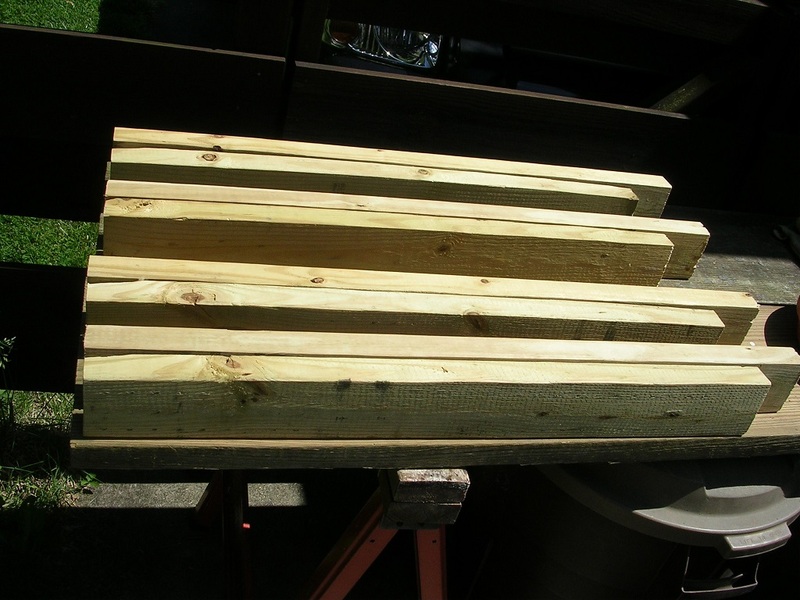 Use the circular saw, table saw, or handsaw to cut the first of the 2” x 4” x 10’ pieces into two 58” sections which will serve as the long sides of the grow bed. 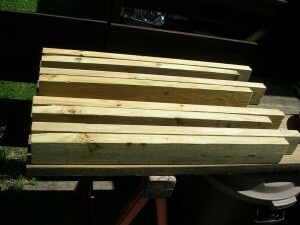 Cut the other 2” x 4” x 10’ piece into four 30” sections which will serve as the cross pieces for the grow bed. 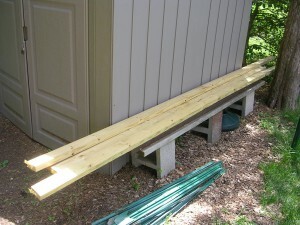 Next, cut one of the 2” x 4” x 12’ pieces into 32.5” sections and the other 2” x 4” x 12’ piece into 36” sections. 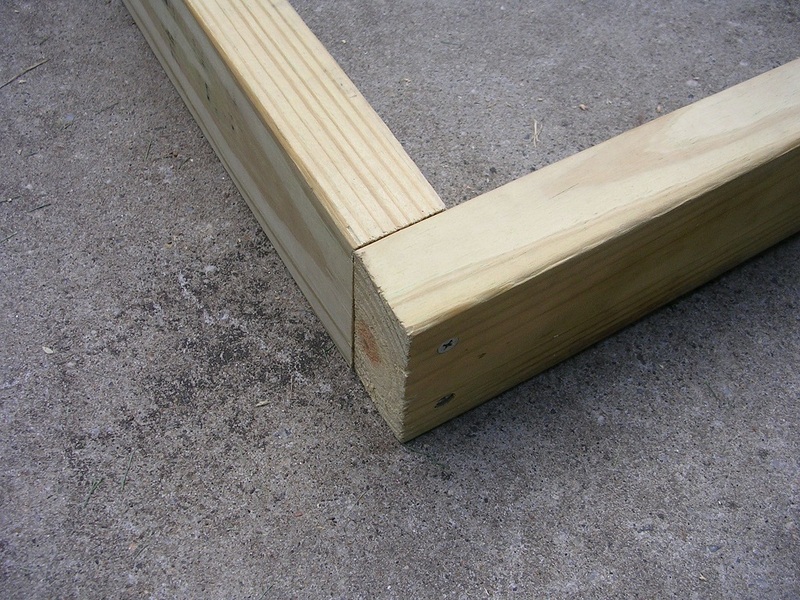 The 32.5” sections will serve as the inside support legs for the table while the 36” sections will serve as the outside legs. 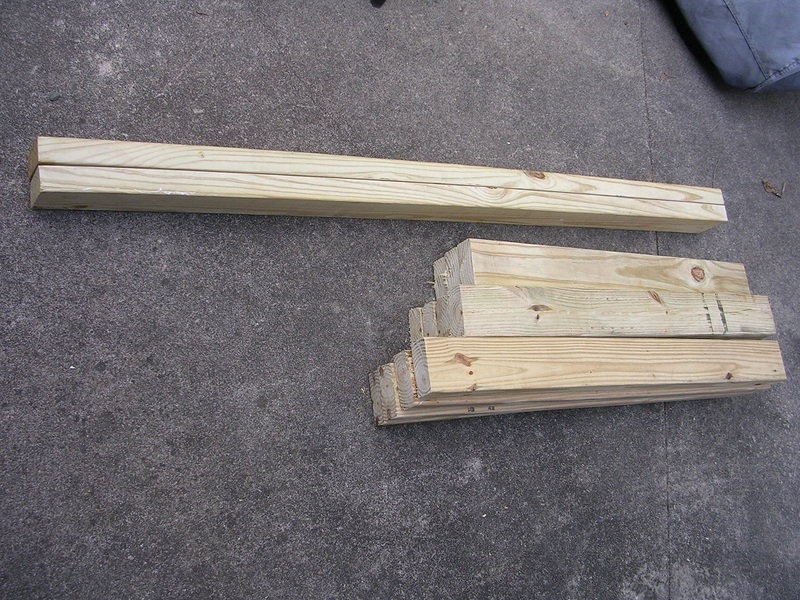 As you’ll note in the below pictures, a few of the pieces have rough edges (since I used a handsaw for old school nostalgia). To rectify this, I used a smaller handsaw to cut off the excess wood that broke off the end of some of the pieces and then a metal rasp to smooth out any and all rough edges. Once the pieces are cut correctly and the rough edges are smoothed out, the next step is to separately assemble the grow bed and the table legs. 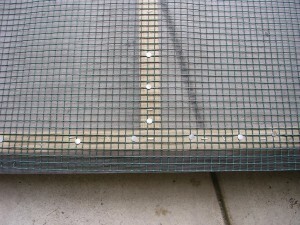 Using the 2 ½” galvanized screws, attach the long sides (58” sections) of the grow bed to the cross pieces (30” sections). 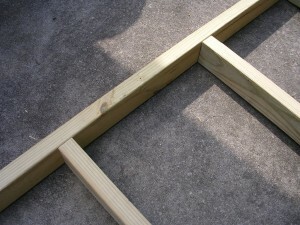 Use two screws to connect each side of every cross piece to the long sides. 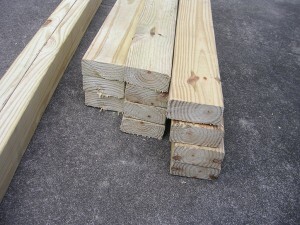 Make sure to measure prior to installing the two interior cross pieces to ensure that you have three equally sized sections, unless you purposely want to have sections that are not equally sized. 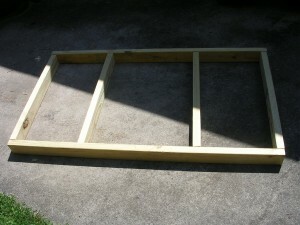 In case you want differently sized sections, just measure appropriately for your own design. 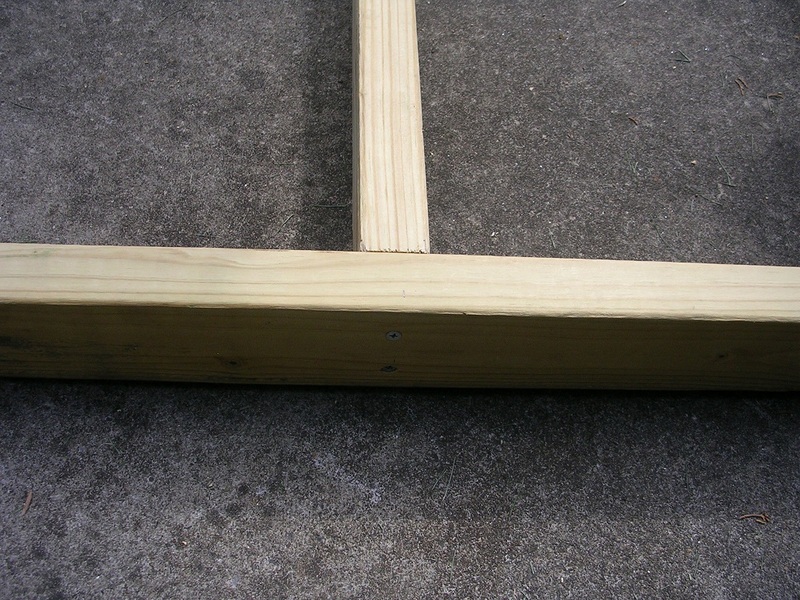 For this particular salad table, the two interior cross pieces were attached roughly 19 9/16” from each end of the long pieces. 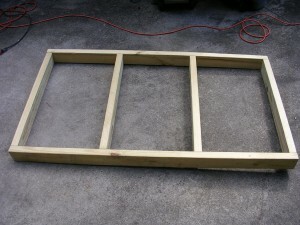 This resulted in three sections which were equally sized at about 17 5/16” wide x 30” long. Similarly, construct each of the legs of the table by attaching the inside support legs (32.5” sections) to the outside legs (36” sections) using the 2 ½” galvanized screws. 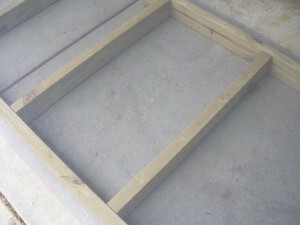 However, do not yet attach the legs to the grow bed. 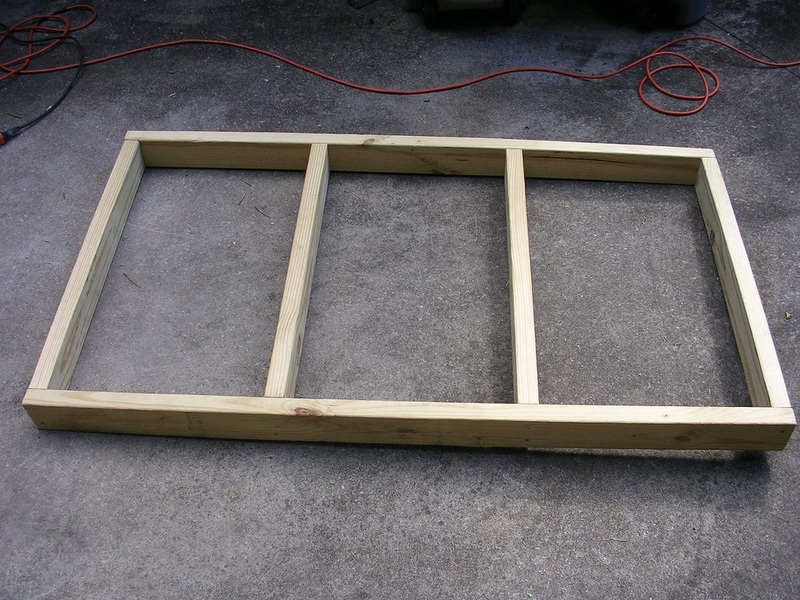 Please see the below picture, created by Grow It Eat It, for a visual depicting the placement of the screws when constructing the legs. 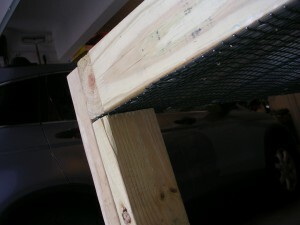 The picture also depicts the screw placement for the eventual connection of the legs to the grow bed. 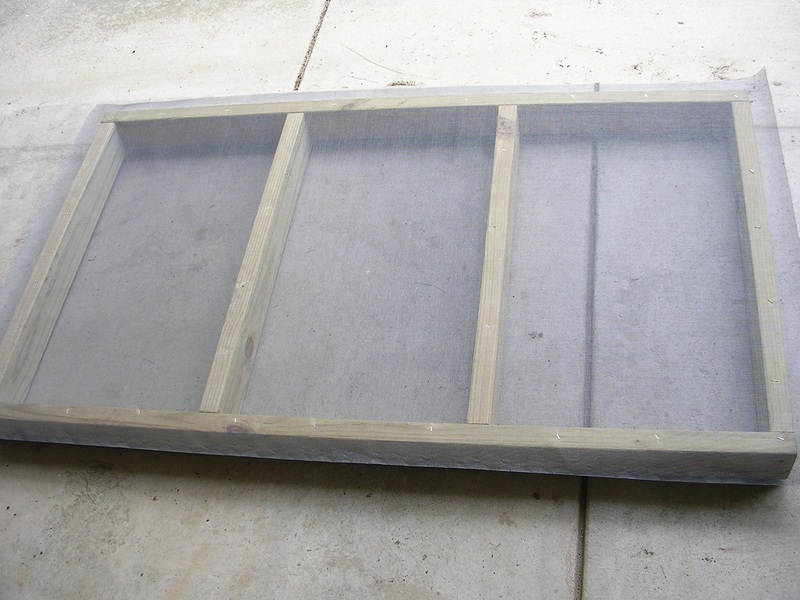 Following the attachment of the cross pieces to the long sides of the grow bed, the next step is to attach the window screen and hardware cloth to the grow bed. 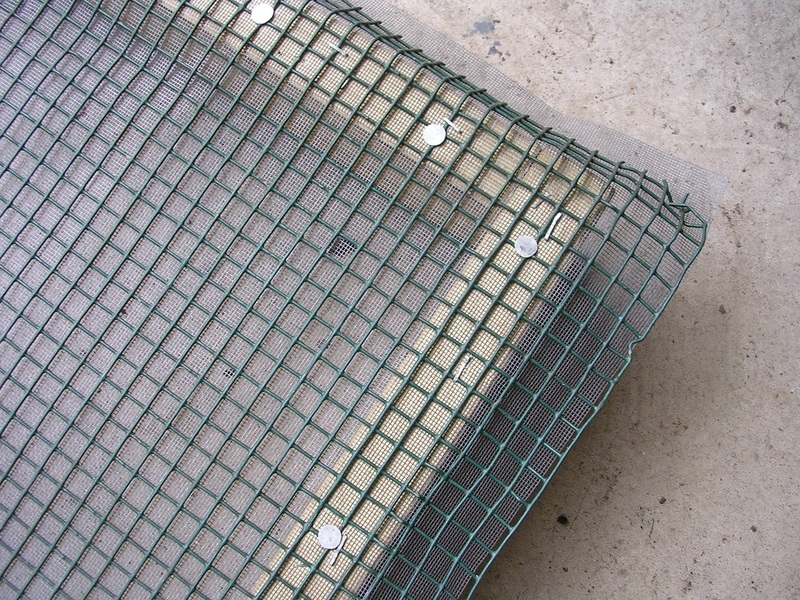 These items will support the placement of the growing medium in the bed while allowing the water to filter through and not flood the bed. The placement of newspaper or similar material will actually serve to prevent the dirt from falling out of the grow bed, but we’ll get to that later on in the guide. With the window screen securely in place, the next step is to further support the growing medium with hardware cloth. After obtaining ¼” or ½” hardware cloth and cutting it down to the appropriate size (i.e. 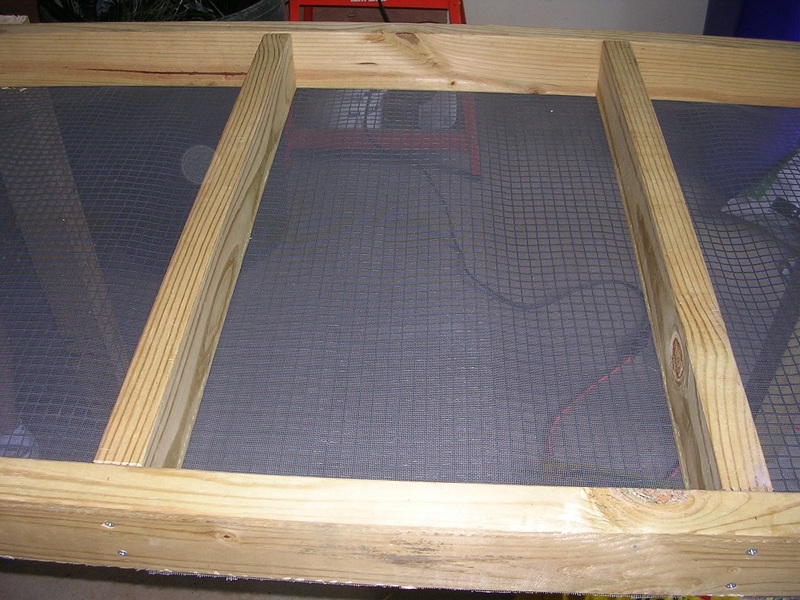 only a couple of inches hanging over each edge when centered), center the hardware cloth over the previously installed window screen. 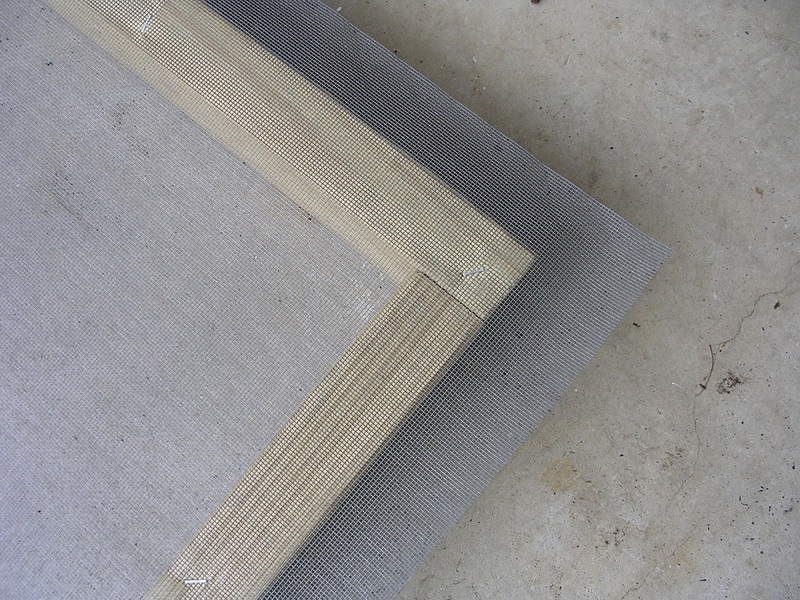 For this thicker material, staple the hardware cloth to the frame using 1/2″ staples. As seen in the below pictures, 1” roofing nails were also hammered onto the frame to help secure both the window screen and the hardware cloth. 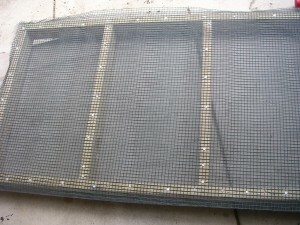 Finally, instead of cutting, folding, and securing the edges of the window screen and hardware cloth onto the ends of the frame, the edges were instead cut off using tin snips and the sharp edges were pounded down against the frame to remove the resulting sharp edges. 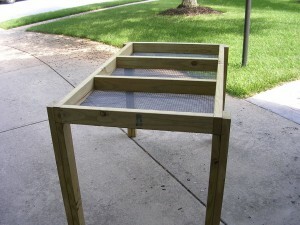 Now that the grow bed has been finished and the table legs are assembled, you can go ahead and attach the pieces together to build the complete salad table. First, lay the grow bed onto the shorter piece of each of the table legs, one leg at each corner of the grow bed (or 1” – 8” in from the corners of the grow bed). 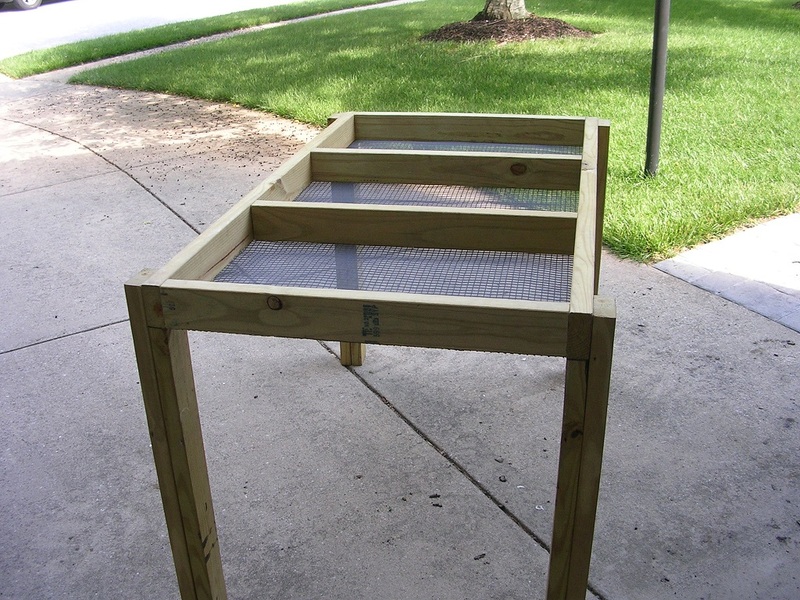 Then, using ratchet bar clamps, secure the grow bed to the table legs while you attach the pieces together using the 2 ½” galvanized wood screws. The screws should go through the top of the longer piece of each of the table legs and then partially into the long side of the grow bed frame. 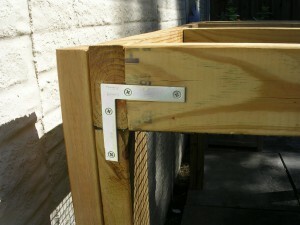 Finally, use some “L” brackets to reinforce the attachment of the tables legs to the grow bed frame. 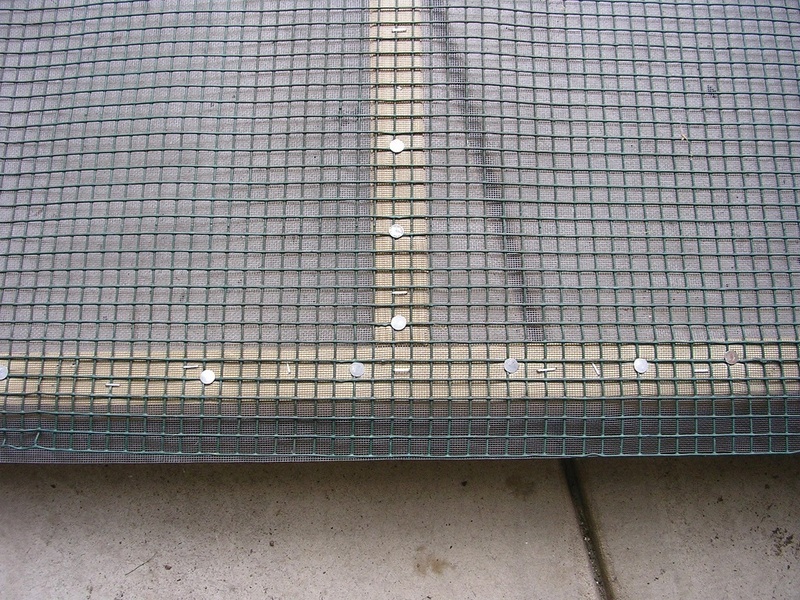 For this project, we purchased four 3” Zinc Plated Flat Corner Braces (4-Pack) and attached them to the table with four 1” galvanized wood screws each. See the below picture for our bracket placement. Prior to placing the salad table, we made sure to weatherproof the frame, for longevity, using weatherproofing such as Thompsons Water Seal. 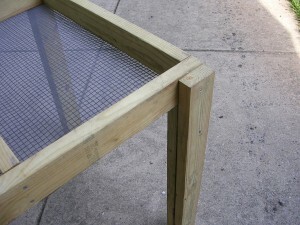 Even though the wood we used is already treated to control for such things as insects (i.e. termites) and weather (i.e. 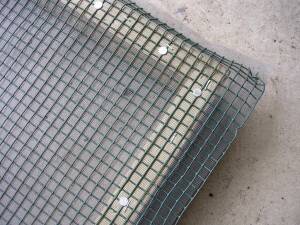 rain/water), it is helpful to add extra protection to the frame. 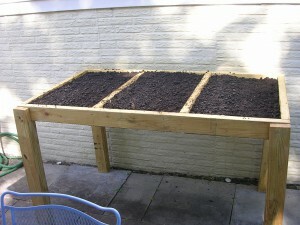 Following the placement of the salad table, or even prior to its placement, the next step is to prepare the growing medium. As such, using the basic volume formula of length x width x height (V = lwh), I was able to determine that I needed approximately 3.60 cu ft of material to fill the salad table grow beds. 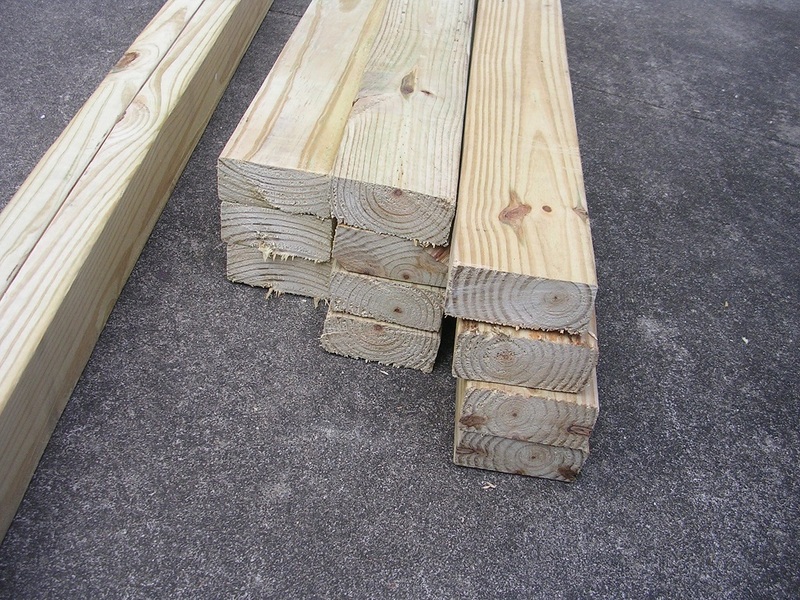 Weathershield 2” x 4” x 10’ #2 Prime Pressure-Treated Lumber x2 @ $4.97 ea. Weathershield 2” x 4” x 12’ #2 Prime Pressure-Treated Lumber x2 @ $5.77 ea.